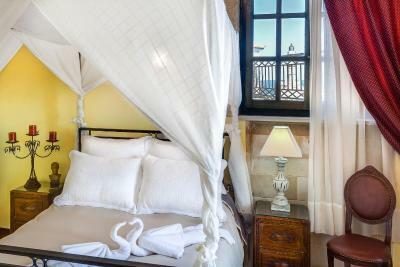 Lock in a great price for Casa Leone Boutique Hotel – rated 9.2 by recent guests! The Location is perfect. The view is breathtaking. The place and the staff make you feel so at home that you forget you are in a hotel. The atmosphere is cozy, warm and friendly. 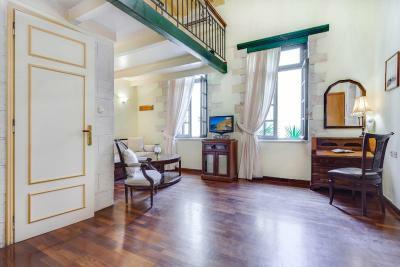 A unique venetian home, definitely worth visiting! 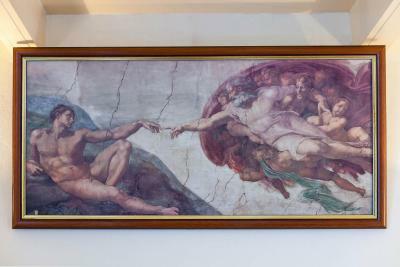 This was one of the best hotels we have stayed in. Nothing too much trouble. Breakfast exceeded all expectations. Our room was on the edge of the harbour overlooking the sea. 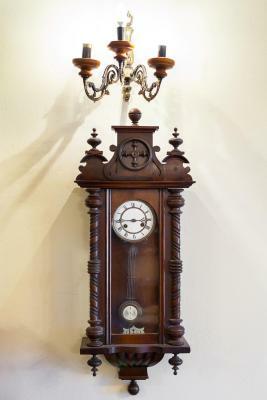 We were offered late check out which was fabulous and was not charged an extra fee. This hotel is amazing and so was the owner and staff. We were given a beautiful gift set of soaps on departure,So thoughtful. Thankyou and cant wait to see you again soon. This is right on the Venetian harbor and our room had a small terrace from which you can see the lighthouse and the entire harbor. The view is wonderful. 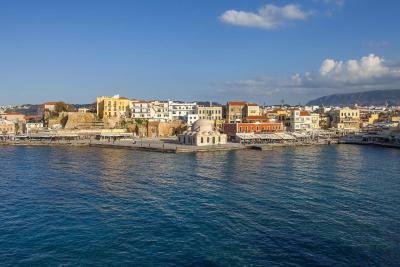 The location is perfect for exploring all of Chania. The air conditioning and shower worked well (although the shower itself is quite small). 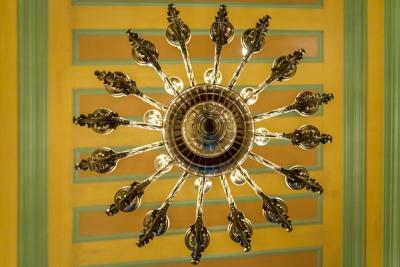 The decor and ambiance have the charm of a boutique hotel. This hotel was one of the highlights our our holiday. 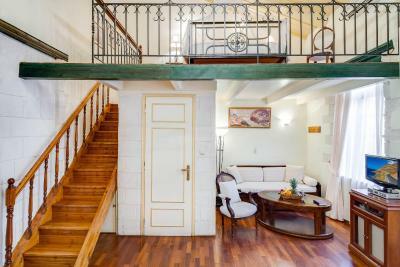 Beautifully renovated, with only a small number of rooms. Breakfast was superb. Location over the harbour was amazing. Staff were very helpful at all times. The service was outstanding and genuine. The location was excellent and the advice given on things to do and hospitality by Virginia was fantastic. Thank you. The staff are so helpful and friendly and went out of their way to make my stay perfect. I was so sad to leave. 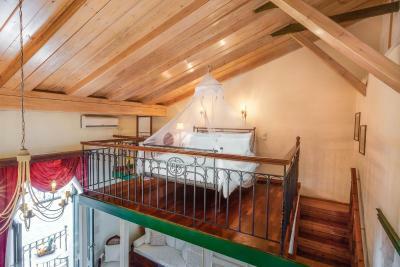 The room is beautiful and the location is in a great spot. 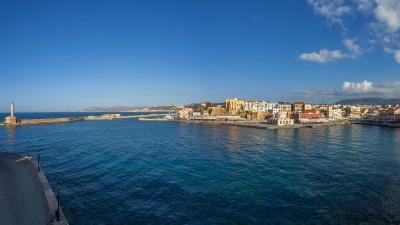 We arrived at the hotel 4hrs behind as the ferry to Heraklion was late. We informed the hotel through booking.com about our delay. The owner was out in the street at 2.30am looking for us!! We were very touched by his hospitality. 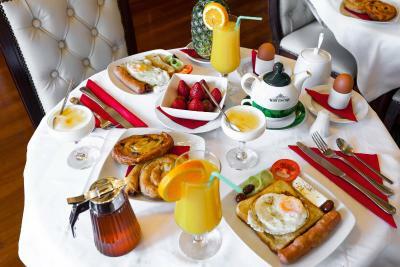 Very good breakfast and superb location. Close to night life restaurant and boutiques. The property is in a good location and the staff was good. My problem here was a very small bathroom, a bed that was too short for me which caused me some lack of sleep. We had the best room in this small place and it had a terrace with a nice view. 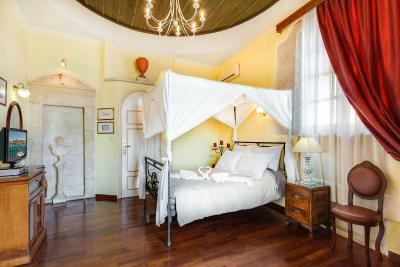 Casa Leone Boutique Hotel This rating is a reflection of how the property compares to the industry standard when it comes to price, facilities and services available. It's based on a self-evaluation by the property. Use this rating to help choose your stay! 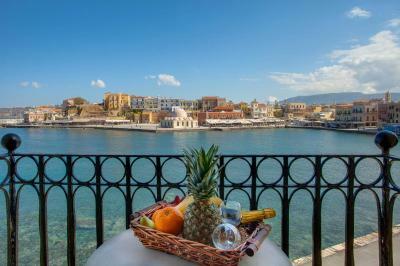 Decorated with antique furniture, Casa Leone overlooks the charming Venetian Harbor and the 15th-century Faros Light House in Chania. It offers a waterfront terrace and fully air conditioned guest accommodations. 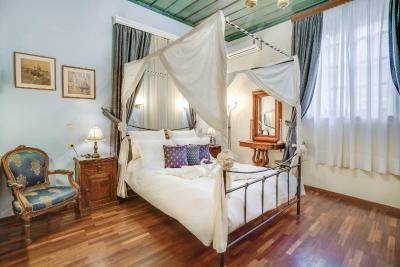 Chandeliers, beamed ceilings and four-poster beds with muslin drapes are standard in most of Casa Leone’s rooms and suites. 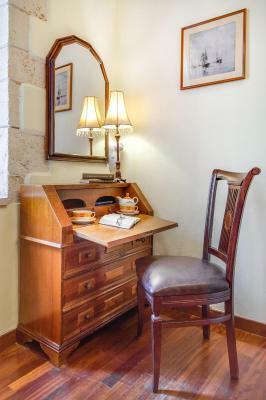 Each is furnished with tea/coffee facilities, a satellite LCD TV and a seating area. 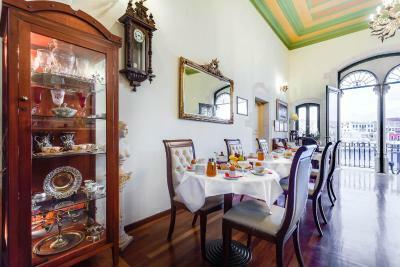 A traditional Cretan breakfast is served daily in the classic breakfast room with its large mirrors and wooden paneling. Lots of fish taverns and traditional eateries are scattered around the harbor. 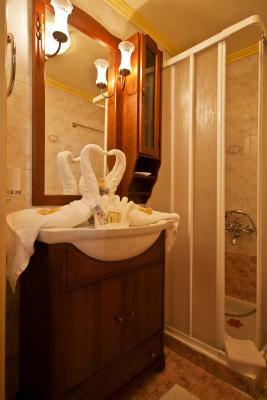 Guests can relax on the sun terrace or enjoy reading a book on the courtyard with it elegant fountain. A free internet computer is accessible in the lobby. 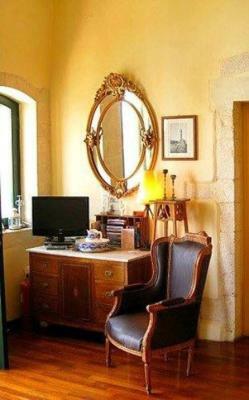 Casa Leone provides car rental service and can organizes excursions. 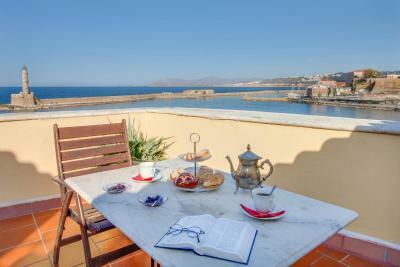 Souda Airport is 11 mi away, while the nearest port is 4.3 mi from the property. The beach, taxi and bus station are 1,650 feet away. 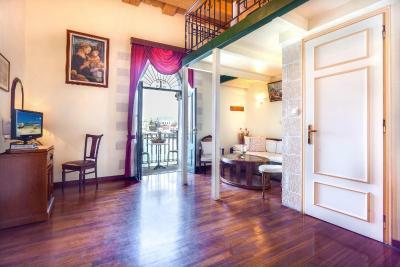 When would you like to stay at Casa Leone Boutique Hotel? 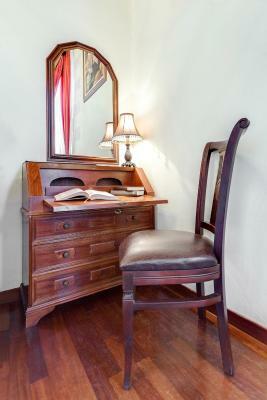 This quiet room has antique furnishings, old prints and window. 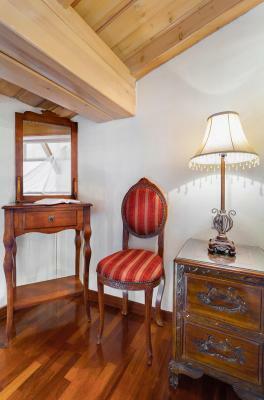 This more spacious room has antique furnishings, old prints and offers views of the Venetian Harbor. 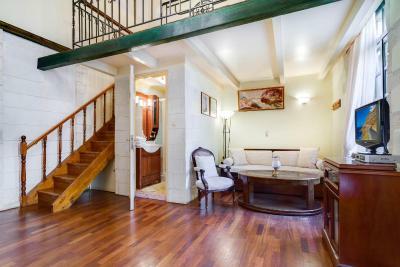 This 2-level suite has a separate bedroom, a living area with antique furnishings and old prints, and offers views of the charming courtyard. 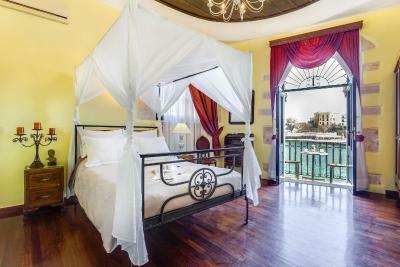 This is a 2-level suite featuring a living area and a separate bedroom offering amazing views of the Venetian Harbor. 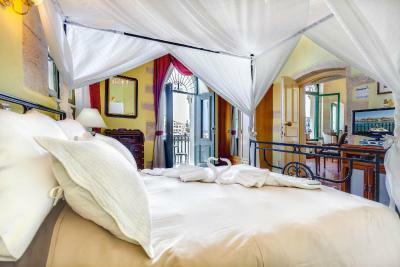 This romantic room features a large private patio with panoramic views of the Venetian Harbor. 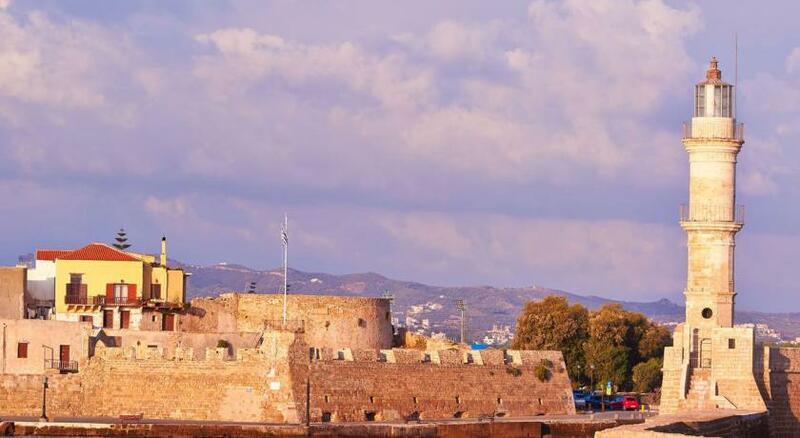 After the siege of Constantinople by the Latin in 1204 AD, Crete is seeded to Bonifatio Marques Momferato, from whom the Venetians bought the island. 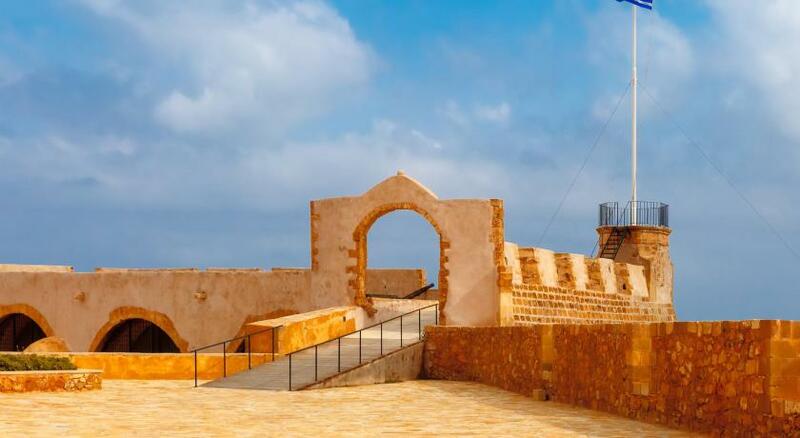 The borough of Hania was divided and given to Venetian colonists, with the specific obligation to rebuilt the town of Hania. 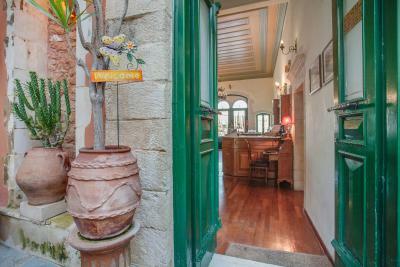 Casa Leone dates back to the 15th century. Its first occupants were Venetians descending from a well known family of musicians, named Leone, from whom our hotel is named after. 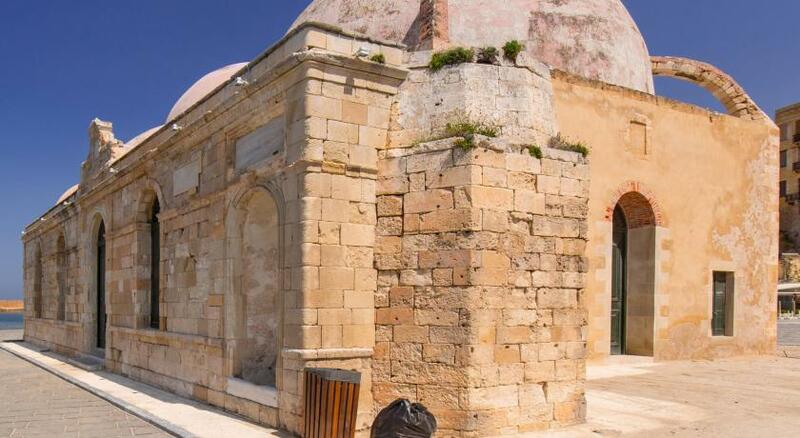 In August 1645, the Turks seize Hania and the town is declared as the Seat of the Turkish pasha. 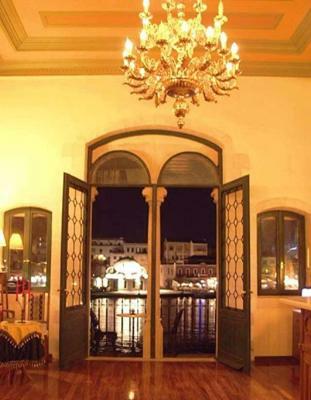 From One of the 196 pashas who governed( 1645-1830) lived in Casa Leone. . Hania became officially the capital of Crete in 1849 and the yearning dream for the unification of Crete with Greece came true in 1913. 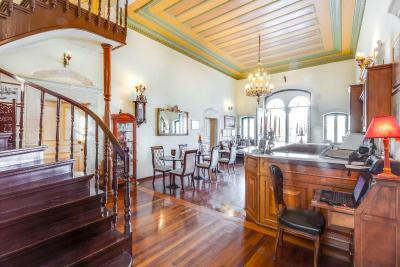 At about that time Casa Leone was occupied by a Greek family until 1939 when WW 2 was proclaimed and was requisitioned by the Germans and turned into headquarters. 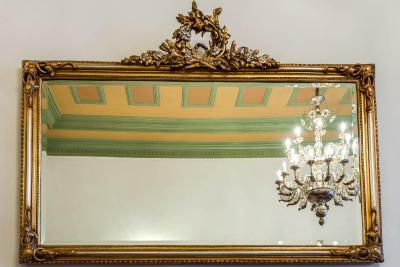 After the war the building was returned back to its owners up to 1951.It was then sold to our family and in 1997 we decided to convert it into a small beautiful hotel. 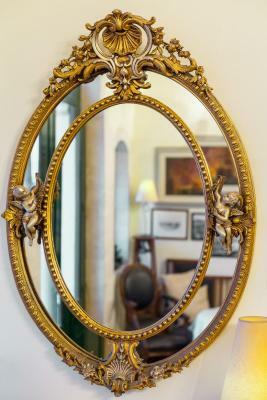 House Rules Casa Leone Boutique Hotel takes special requests – add in the next step! One child under 16 years is charged EUR 50 per night when using existing beds. 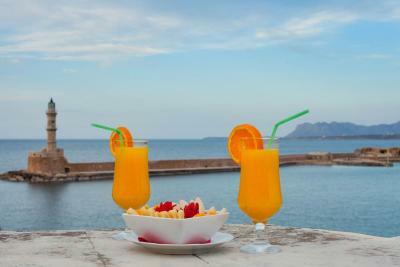 Casa Leone Boutique Hotel accepts these cards and reserves the right to temporarily hold an amount prior to arrival. Due to the narrow streets of the Old Town, cars are not allowed. The closest free parking area is 250 feet from the hotel. 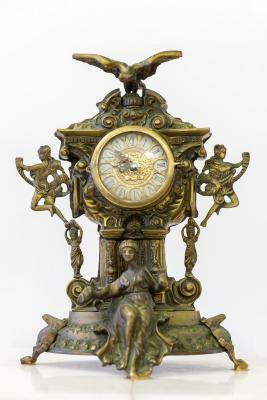 Guests are requested to inform the hotel in advance of their estimated time of arrival. 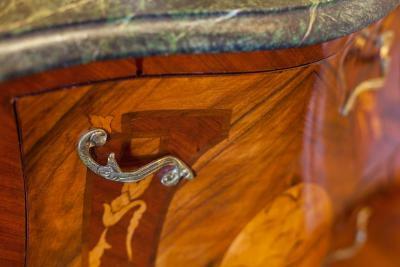 This can be noted in the Special Requests Box during booking or by contacting the hotel using the contact details found in the booking confirmation. Outside of the property at the entrance in need of attention but area for repair is screened off. Bathroom a little on the small side. 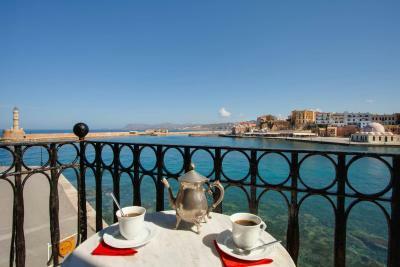 Suburb location with easy access to sights, restaurants, bars, shops and the old harbour. 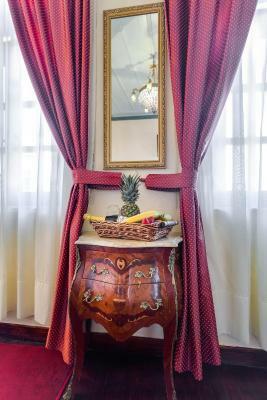 Hotel very traditional in style and design with some lovely pieces of furniture. Toilet and bed was a bit small. Maria was fantastic. She made us feel so at home and prepared a great spread of breakfast for us (in winter down period when we didn’t expect much). The view with balcony was amazing and well, as we went around to shop for souvenirs, we saw this hotel on quite a lot of the background of post cards which feature the lighthouse. It was just 350m to the city center. Restaurants nearby (50m) were open even in winter. 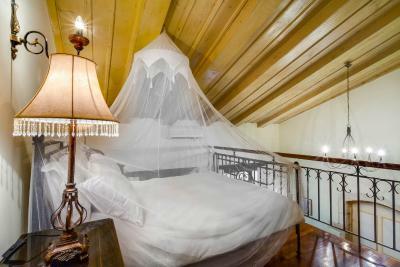 Great location, well decorated cozy room, excellent breakfast, and helpful staff. The view from my balcony window was outstanding ,a real pleasure early morning, evening etc. Very near lots of eating places. Staff extremely helpful in advising about trips. Totally recommend the Archeological Muséum in Heraklion .outstanding examples of Minoan civilisation. There was only one thing that let down our stay at this hotel slightly which essentially was a fantastic stay otherwise and that was that the bathroom in the room needed to be modernised and maybe even enlarged a bit, even if this meant decreasing the seating area in the room. 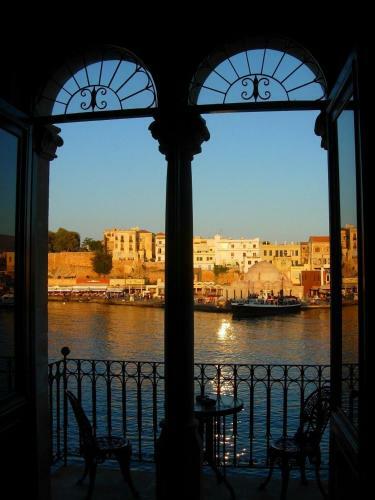 Attentive staff eager to make you feel valued special customers, the hotel decor and attention to detail of the furniture being in keeping with the Venetian architecture this combined with the buildings views of the harbour added to the old town charm. 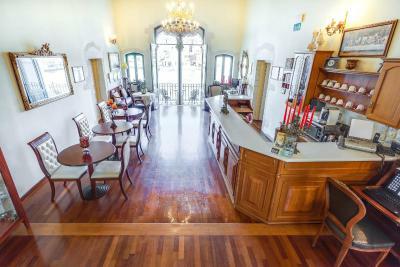 For example the reception area/breakfast room had a fantastic feel to it due to the view of Chania harbour through the doors leading to the external balcony. 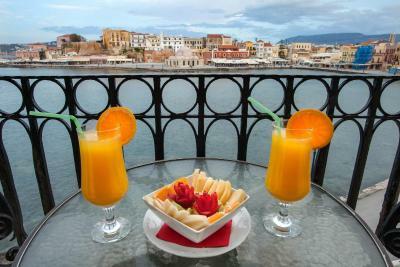 Breakfast was filling, served on lovely white linen, with a view of Chania. Our room also had the special view of the harbour through our doors and with our own balcony, plus the sleeping area being on the upper mezine was very cosy. 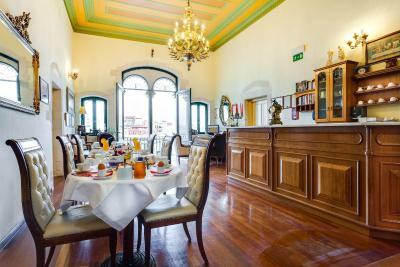 Casa Leone is beautifully situated, it is a pleasure to have breakfast overlooking the harbour. The atmosphere of the 600 year old building is convincing. 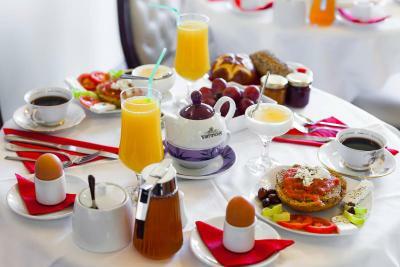 The breakfast is very tasty and rich and the staff is very friendly and helpful. When we fell ill during the holiday, we received very good support. 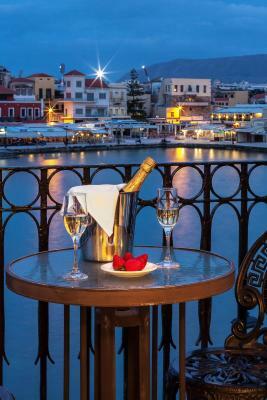 The property was located close to the waterfront so finding somewhere to eat was very easy. Our host recommend a little restaurant in town which was wonderful. 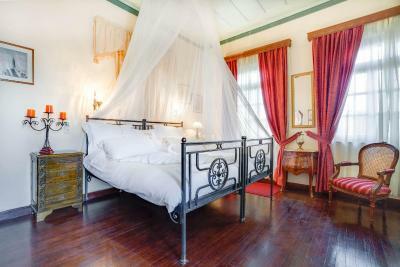 The room itself was impeccably clean and the half bottle of wine on arrival was a very nice touch. A great place to stay. Fantastic view. Probably the best in the area. Great value for money. Clean and luxury room. Vefy friendly and helpful staff. Complete and tasty breakfast, especially the spinach pie was great.